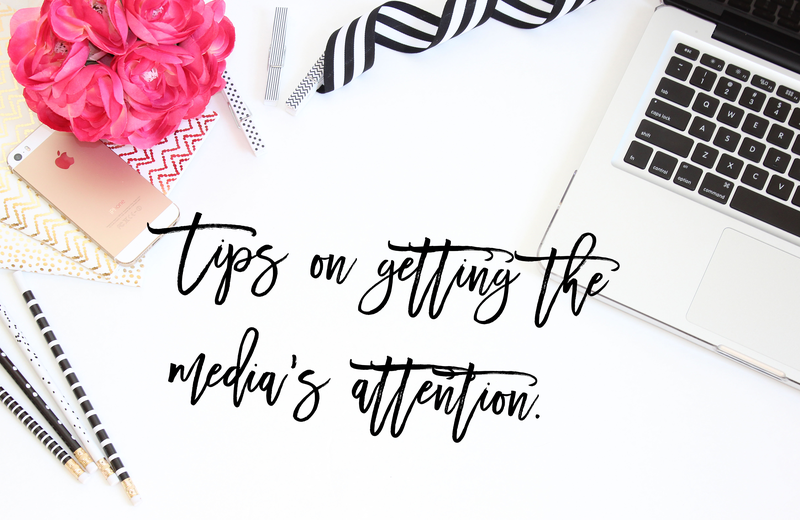 Tips on how to get the media’s attention! You’ve worked hard to build your business and now you want to show the world (or at least Calgary) who you are and what you do; or maybe you have an awesome new project that you think deserves some media attention but you’re not sure how to pitch your event or story. My name is Kate and I’m a TV producer. I’ve also been a news anchor and a reporter, and I get pitched story ideas all the time! Here are some tips from my personal experience. Let’s break it down into 6 ways to get our attention. Figure out what makes you as a business owner awesome – or how is your business making other people’s lives awesome. I recently heard about an immigrant who was a lawyer, then a professional chef, and now an artist! That’s interesting. Tell me you wouldn’t want to check out his art after knowing his story! Secondly, how does your business fit into what is going on in the world right now? For example wedding season is approaching, and you own a flower shop…now would be a great time to approach a reporter with a story idea on the latest bouquet trends. If you don’t know what makes you different try asking your friends, family or clients. What ever your thing is, know what’s going on – especially locally. A reporter might start using you regularly to get the latest scoop on what’s going on in your industry. You might not always get to be star of their next story but they will remember you in the future if they need to refer to an expert. This might sound a little repetitive from my last point but connect with people in the media. They probably won’t have time to sit down and have coffee with you but following up with a phone call after your original email isn’t a bad thing. If you have an awesome pitch you shouldn’t be waiting to long to hear from them. Like everyone else in the world the media is busy – especially now a days with layoffs -people are doing double duty. Keep emails short: give us the who, what, when why and where. Make a catchy paragraph that draws us in, then use bullet points to give us details. If you have any extra information attach it to the email; if they get that far then your doing something right! Also, remember to include what you can offer visually. If you want to talk about pies, tell us your going to make a pie for us to film or take pictures of. If you are pitching the latest trends in yarn bombing, then set up a group of people to yarn bomb a park. We need the visuals to tell the story. Lastly, make your social media profiles and website easy to access. The more hunting that has to be done the faster you’ll loose the persons attention. Certain times of the year are busier then others. For example, don’t send your pitch during stampede, chances are the media is busy following public figures around to Stampede breakfasts. Wait until after major events such as Stampede or election day to pitch your story. Finally don’t get stressed if you can’t get the media’s attention right away. Sometimes it’s just timing. The media gets busy and schedules change quickly. All you can do is refine your pitch and try again!